I’m linking up again today with Bloghoppin’ for Teacher Week. Today’s discussion – Classroom Digs. Now, I just got the keys yesterday for my new classroom in Vegas so I’m nowhere near ready to show the classroom digs just yet (although stay tuned for my next post to show you my work in progress as I go through organizing and setting up a brand new classroom). Since my other room isn’t officially “classroom digs” ready, I decided to show you pictures from my old classroom in Arizona. I taught first grade in the same classroom for 5 years so I really had everything organized and where I wanted it. Check it out below. View from the front door of my classroom. All ready for Meet the Teacher with their TEAMS Binders on their desk! View from my desk area. I loved having this classroom rug from Lakeshore. Everyone had a spot and had an area to be – it worked perfectly! Don’t mind the clutter. All Star Work with clothespins to easily change out student work. The bins on top of the cubbies are for Math Stations. As I mentioned in my Meet the Teacher, I’m a huge Suns fan. Part of our math activities every day included figuring out math facts with the score from the last game. We’d tally wins and losses, figure out the difference points-wise between each team, days til the next game, etc. It was a fun way to practice a variety of math skills. Math Bulletin – Calendar, Math Station Expectations, Hundreds Chart, Tooth Chart, and Place Value Chart for Days in School. Management Board Area – Clip Chart, Math Stations Management Board, Lit Stations Management Board, and Classroom Jobs. I hate chalkboards, so this was a great way to still use the space, but not mess with chalk and that lovely chalk sound :-). Fluency Station – I was so lucky at my school to have multiple small tables that worked awesome for stations. This table was for my fluency station. I had the kit from Lakeshore that I got through Donor’s Choose. In this area, I also have my classroom promise and expectations, binder turn-in area, and the purple tub is how I passed back student work. Each kiddo has a file with their name on it which made it easy to organize and easy to pass back a pile to each student. Classroom Library – I loved my classroom library because I was able to make a cozy little separate area out of it with the bookshelves and bookstands. On the wall, I posted the reading anchor charts we made as a class. My books are all organized by categories – Picture Book, Mystery, Non-fiction, School, Magic School Bus, Animals, Sports, Junie B. etc. I have a label on each storage box indicating what books go in there. I also have a label inside each book that corresponds to the label on the box so the kids know where the books go. Cubbies out in the pod area. I love my storage organization tubs and labels. Here I have all of my student math books and math manipulatives. My area. Here I have my computer desk and on the cubbies I have my activities for the week. The door leads to a class bathroom, which was so nice to have with first graders. Another view of the cubby area in the pod. It was so nice having all of this extra space to use for storage and groups right outside my classroom door. The opposite side of the Making Words Station in the pod – here I had my spelling station. Again you have another view of how big the pod area is. This area is shared by 6 teachers, but it was so nice to have additional space. Computer and doc camera that goes with the Smart Board and also a reading bulletin that always had our Sound/Spellings on it. A view of the back of the classroom . Small Group Area – again please don’t judge the mess. The math cart houses more math manipulatives. The horseshoe table worked well for pulling small groups for reading and math. The bookshelves housed some of my reading curriculum, teacher books, and materials for small groups. Writing Station and Writing Area. Bucketfilling Bulletin – in my small group area. I love, love, love bucketfilling – my kiddos each had a baggie with their name on it for their notes (my student teacher came up with the baggie idea). So, there is a little glimpse at my room and home away from home for the last 5 years. Stay tuned for a post on the progress in my new classroom and eventually, probably next week, an official unveiling of the new room. Looking forward to checking out everyone’s awesome classrooms in the linky party! I love the lakeshore rug with the squares, perfect for first graders to sit in. I love that you have tables instead of desks…I was thinking about asking for them, but the rest of the first grade team wants desks…we'll see! 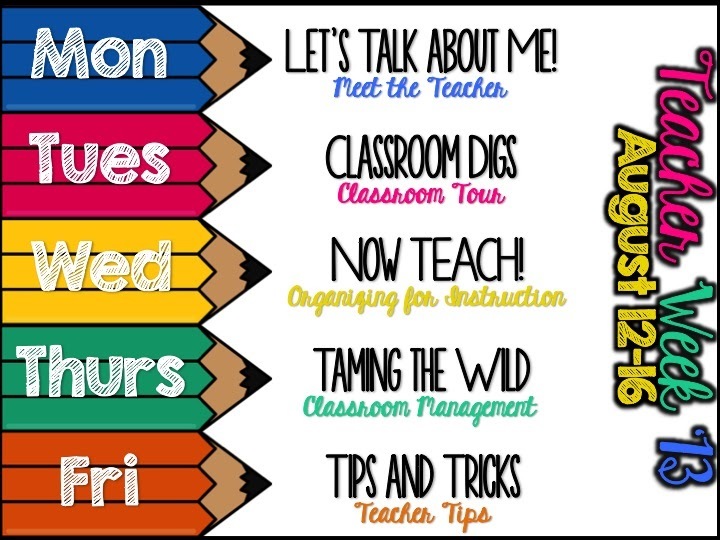 Check out my Tuesday: Classroom Digs blog post! Hi Lindsay! Thanks for stopping by! I can't believe summer is over either…where does the time go? I really like tables for first graders, but I'm sure desks could work too. Desks with them make me nervous because you never know what they have in there and some kiddos tend to play inside their desks during instruction, but I'm sure there are ways to make them work. I have desks in my room this year so I'll be figuring out how to make them work best again (I had them when I taught 3rd grade a few years ago). I'm off to check out your blog right now. Thanks for sharing your blog! Too funny! I have those same red racks full of globes in my classroom…err…scratch that – they are sitting in my garage right now (my current classroom is WAY too small for them). My father-in-law who used to work for Norstrom (I think that's what the company is called) gave them to me after he retired. Do you use them often? That is too funny. I really didn't use them too often except when we were studying maps, which wasn't the longest unit so they got used for like a week each school year. What's funny is this picture is a little older and my principal got tired of the space they took up and had us get rid of them a year or two ago. They do take up a lot of space, so I get you not housing them in your classroom.